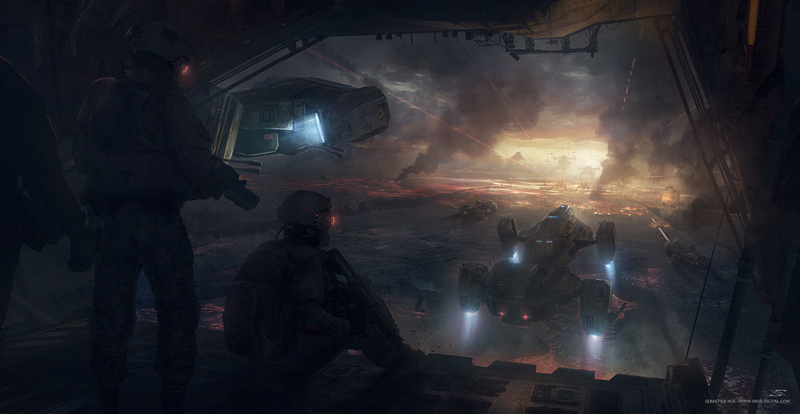 Finally an old Keyframe art homework I could complete from Andree Wallin's class. The brief was soldiers landing to the battlefield with aliens arriving. Ships modelled in 3D-Coat. Everything from scratch.